If I clean my carpets will the colours run? Carpets come in all different types and colours. Most residential carpets have one colour running consistently throughout the whole carpet. There are a few carpets however which are a little more exciting. Carpets can be seen with patterns, shapes and words. 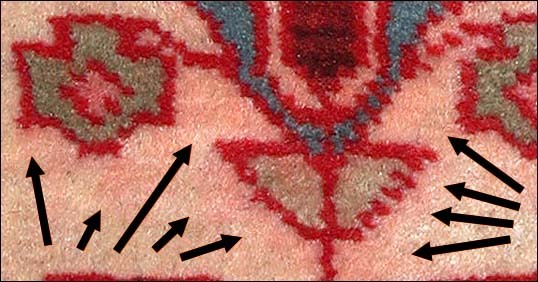 Many older carpets had illustrious designs set within them. When your carpet has different colours within it similar to rugs, and you are looking to clean the carpets. It is important to make sure all your colours will run once the carpet is being cleaned. When we refer to colours running, we are talking about one colour smudging the surface further than it should be. In turn, ruining the initial design of the carpet. So the next question is how do we combat colours running while still keeping our carpets fresh and clean. The answer is to hire a skilled carpet cleaning technician. A skilled carpet cleaning technician Will always run tests on your carpet to ensure whether the colours right or not. If the colours truly do run, there is a solution which covers the area so the colours do not run anymore. The application of the solution should only be carried out by a skilled cleaning technician. Fresher carpets run colour running tests whenever a client desires. Are also skilled at treating carpets so that colours stick and cleaning can be done. If you have any questions at all feel free to reach out and we will do our best to help you.